“There is no happiness in love, except at the end of an English novel.” Anthony Trollope. Probably, perhaps only the first half though to revisit the way ideas interact with story. 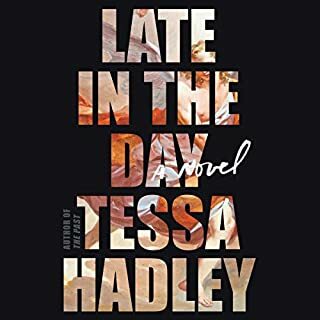 It was beautifully paced and engaging though, I was pulled along by the narrative tension between the characters, but knowing the ending, I am not sure the novel would have the same thrall on a second listen. I thought Eugenides did a remarkable job of capturing the urgency of that time in your life (about twenty), when everything feels so weighted and important, when it feels as though every decision you make shapes the person you are about to come, the poesis of self-making. I also really admired the way he blended narrative theory and classical storytelling. What does David Pittu bring to the story that you wouldn?? ?t experience if you just read the book? Oh, he is just brilliant! He sculpted each character out of nuance and diction, these people really came to live for me, it was like watching a movie. Perfectly paced. Beautifully read, never intrusive. I rushed through it pretty quick! 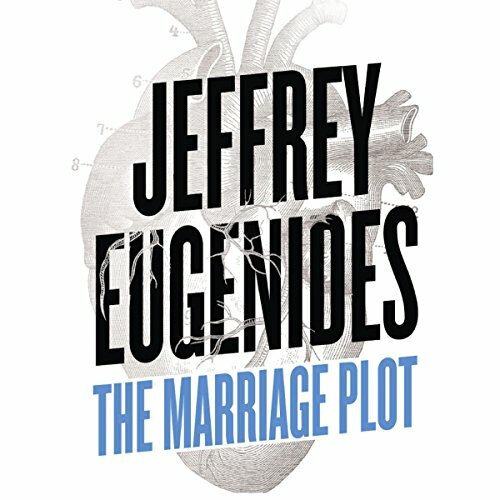 This is certainly not Eugenides' most unique book but he's such a good writer you still want to keep listening, even if the story is just a trumped up 80s nostalgia love triangle. As for the reading, to put it lightly, character voicing is not Pittu's strong suit. The male characters all sounded like they just swallowed a hairball, and unfortunately Madeline sounded exactly like Candace from the TV show Portlandia (those who know the reference will understand). Essentially, the characters all sounded extremely one dimensional, which is a fairly large failing considering the whole book is about the subtleties and nuances in people and personality. An easier reading of the book would probably have brought the sense of the story out more, especially since it is such a character heavy book, but I found myself struggling more and more to ignore Pittu's simple characterisations. Wouldn't suit all of my reader friends but for some of them yes. It's entertaining in a lot of ways but I felt it a little long winded at times. He characterises so beautifully, I laughed out loud a some bits. Great narration makes a book for me and David's reading kept me going where if I'd read the book myself I might have given up in the more boring bits! Although I felt the book too long, I still kept with it to the end, partly due to David's narration. It's still a good read, I've yet to read Middlesex but I have it in paper form so we will see if that works for me better as a novel (however, won't have the assistance of a great narrator though will I). Would you try another book from Jeffrey Eugenides and/or David Pittu? Did The Marriage Plot inspire you to do anything? 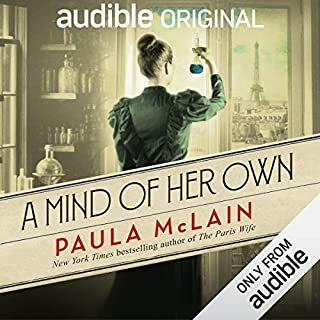 I chose The Marriage Plot because I really enjoyed Middlesex, and perhaps if I wasn't aware of the comparison between the two books, I would have enjoyed this one more. However, I just couldn't get away from how boring the plot line was. 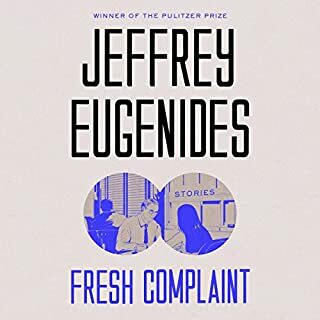 Clearly, it has been very well researched because Eugenides is able to go into minute detail on a number of disparate subjects, from the behaviour of yeast cells to the Victorian novels. However it is the amount of detail that made the story drag for me. That and the fact that I couldn't really feel any empathy for the main characters, who were mostly annoying. The narrator was very good and he did create unique voices for each character, but his best efforts weren't enough to save the plodding nature of the plot. 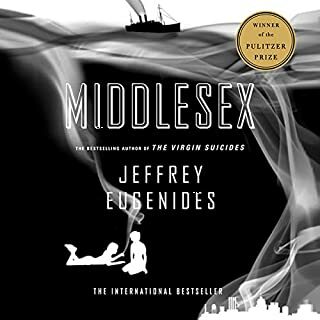 I loved both Middlesex and The Virgin Suicides, and The Marriage Plot doesn't disappoint- however it isn't quite the intricate saga that Middlesex was. Madelaine is about to graduate from Uni having studied English Lit and Language, in particular the novels of the 19th century which more often than not centre around the courting, love triangles and eventual marriage of their protagonists. She loses herself in a relationship with the 'wrong' guy who she idolises due to his incredible mind but who also unfortunately suffers from severe depression and mental illness. She in turn rejects the advances of the possibly 'right' guy, Mitchell, who indeed also has his problems and so unfolds a story of a modern love triangle. The book looks human psychology, the naivety and meaning of love, the search for spiritual enlightenment (is there such thing as an unselfish act?) and the stages and effects of mental illness. I loved this book because it reminded me of my state of mind whilst at university and during my first proper relationship. I also loved the insight into each character, not one of them flawless or indeed even very likable but all three vulnerable and very real. 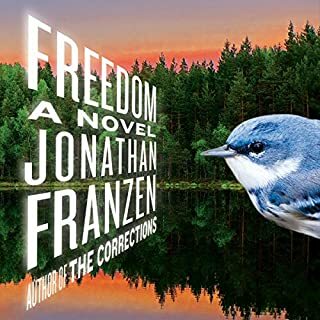 It reminded me very much of Jonathan Franzen's Freedom, just really great American Literature which has something to say about society in a very quiet and therefore genuine way. And because a Audiobook is only as good as it's narrator, I would also have to comment that David Pittu was excellent and made a great book worth listening to. For me it was nice to revisit the 80s in a part of the world I lived in for many years and I suspect that has a lot to do with that hook as I found myself instantly transported to familiar streets and places. It was my first experience of this writer and probably (subject to a different narrator) won't be the last. There is a quality to the writing which is absolutely excellent; the author engages all the senses from the stomach turning experiences of Mitchell volunteering with Mother Theresa to the less than fastidious Leonard's ratty apartment. His exploration of some of the themes, particularly mental illness, and its treatment in that time period was thought provoking. I found the way the backstory elements were woven into the narrative to be quite masterful. The plot though, was a little dull, and I did get to the point about 2/3 of the way through where I really couldn't have cared less what happened to most of the characters, particularly Madeleine.Towards the end I found myself wondering whether the author really liked them himself, although I suspect the narration didn't help here because the female characters sounded whiny, pretentious and irritating. I guess it is all a matter of personal taste. The main character is a young woman studying English Lit in the mid 1980s. Having done that myself, I immediately connected with this novel. She's also a huge fan of Victorian literature. Ditto. The novel follows Madeleine and the men in her life during their undergraduate years and a year or two beyond that. It plunged me back to that time of my life like Proust's madeleine itself. So I absolutely loved it. I also thoroughly enjoyed the plot and character development through the novel. If you are interested in English lit, literary theory, and being a young student in the '80s, you'll probably love it too. If this world is all a bit alien to you, but you were once young and in love, you may well still enjoy it as an insightful and intelligent novel, beautifully written. The characters really come across as real people, each flawed but beautiful in their own ways. And did I mention that it is a times very funny? Note that it is a totally different novel to Middlesex. I loved that too, but this is a very different novel. I'm a big fan of this author but struggled through this due to the narrator - whenever he affected a female voice he sounded whiny and camp, and any of the big ideas that might have been being discussed were reduced to some kind of awful pretention - maybe that's the point, they are at first extremely self indulged college students to be fair. But the women came off really badly, sounding bitchy and dim - even the main character - while discussing Barthes and semiotics, like Philosopher Barbies. The men didn't come off much better, sounding creepy and self satisfied. Just shows how much a narrator matters. Having said that, it does get better and I occasionally go back to it and am less repulsed as the characters get older, even though I really don't care about them, they sometimes say something interesting. what appears at first to be about the one dimensional loves and lusts of the college students soon gets much deeper. you delve in their psyches, learn about their motivations and it's fascinating. I really think it should have been read by a man and woman, rather than a man alone trying to doing a passable impression of females but he does his best and it doesn't spoil the story as a whole. Beautifully written, showing a depth of understanding of Christianity and it's critics I have rarely found in a novel, along with humour, and great characterisation. A superb delivery by the narrator, David Pittu. The best audiobook I have heard in a long time. I loved the first half of this book.we were thrown into a college life filled with promise and recognisable pretentiousness. but wow what an atmosphere.sparkling dialogue and set up. Great story and characters.really felt like it had the gravitas of an epic novel.but never lived up to it.the ending is so trite and self conscious it was as though it was written by a different author. I loved The Marriage Plot when I first read it. 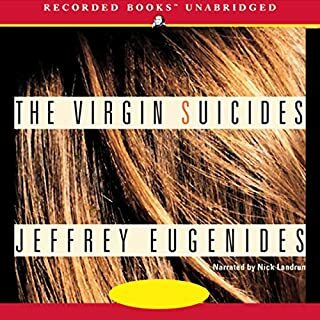 It's a sophisticated coming-of-age story that required Eugenides to have a scholarly grasp of subjects from Victorian literature to bipolar disorder to the reproduction of yeast cells. This combines with magical characterisation that turns the whole thing into a compelling work of fiction. But I was disappointed when I bought the audiobook and heard the narrator's voice, which for my ear almost has a sneering quality. Looking at the other reviews he really divides the audience, so listen to the excerpt before you buy. Not what I expected from the blurb. Madeline is about to graduate, she's split up with her boyfriend and a class mate, Mitchell, is circling to take his place. The break down of the relationships these three leads had, really got to me when it came to the ditched boyfriend. He was a manic depressive and there was no shying away from the toll it takes on the sufferers and family/friends. It did make me feel heart sorry for them, but so much so that it made me pretty blue throughout. This wasn't a bad listen, but slightly disappointing if you are expecting a book as good as Middlesex. Story line was fairly odd, much more of a "journey" book rather than a big lead up to a grand ending. Would recommend to those wanting to continue reading Eugenides works but it is a long slightly strange read. I liked listening to it though and would do it again but I think my friends wouldn't enjoy it.